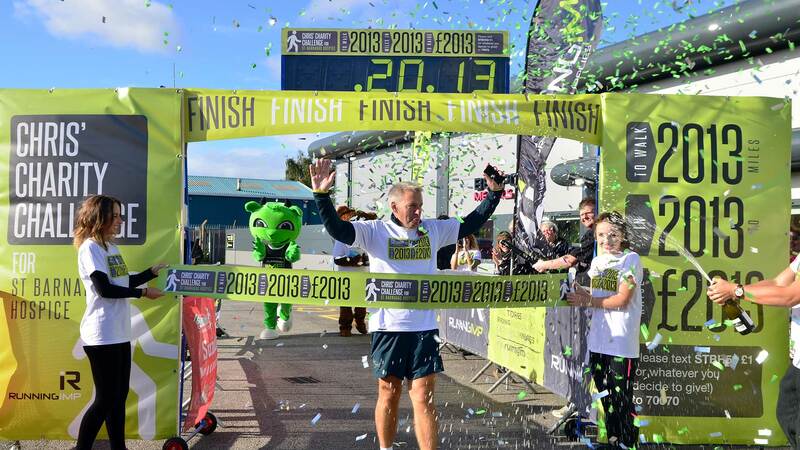 After setting himself the target to walk 2,013 miles during the year, and raise £2013 for charity, Running Imp founder Chris Illsley completed his last mile on Tuesday, October 29. As a result of picking up the pace some months ago, Chris has completed his venture ahead of schedule. In addition, his initial target has been smashed with a final donation of £5,000 presented to St Barnabas Lincolnshire Hospice. 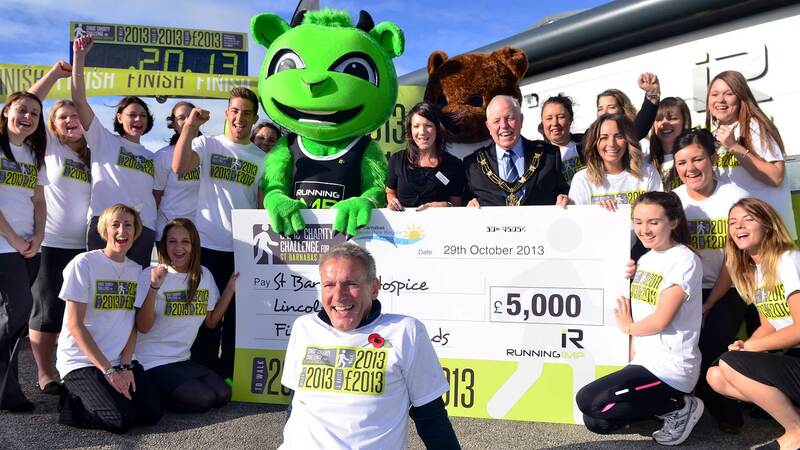 To celebrate the completion of Chris’ 2013th mile, the Running Imp team met with friends and guests outside their headquarters in Lincoln on the 302nd day of the challenge. Chris then presented St Baranabas with the donation. The Mayor of Lincoln Councillor Patrick Vaughan and the full Civic Party were also in attendance at the challenge finale. Chris Illsley said: “It all began because I thought I could really do with losing a bit of weight. My running days are long gone but I thought I could try to walk every day. “I will have averaged 6.67 miles a day every day this year. This equates roughly to a walk from Land’s End to John O’Groats, back to Lands End and then back to Lincoln; or walking non-stop for 21 days – it’s a hell of a way to loose 2 stone.